We offer valet parking for both lunch and dinner. Street parking and pay parking lots are also available nearby. 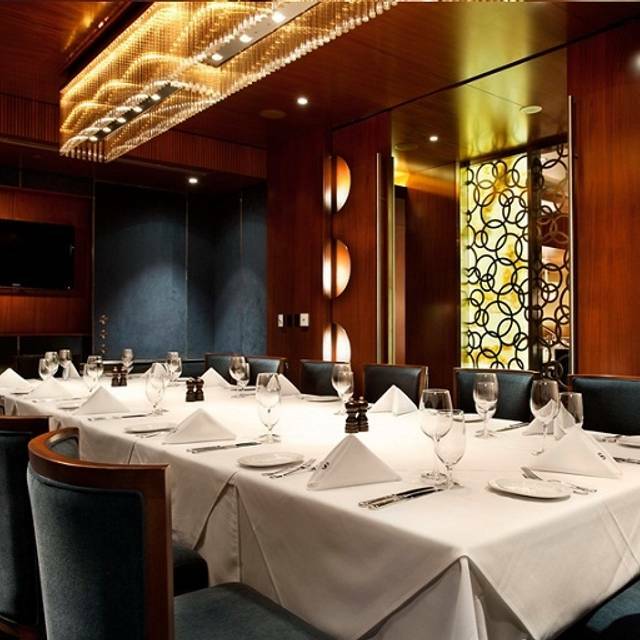 The Shore Club has a beautifully appointed private dining room available for all types of business and social entertaining. The intimate Rideau Room, highlighted with stunning original art, accommodates a maximum of 18 guests and features state of the art stereo and audio visual capabilities. Usually I have a great meal here. On this occasion I decided to have the short rib. Disappointing. The glaze had way too much vinegar which overpowered the rest of the flavor. First time here and we had an amazing time! Our server Bergin was wonderful! Highly recommend it! Over priced. Really don't mind paying, but this was unfortunate. Moreover, I don't think staff wanted to be there. What was to be a nice pre-ballet dinner turned into something to forget . Food was good. But at that price point, I had higher expectations. Atmosphere and service were excellent. I took my boyfriend for his birthday. We were greeted promptly, we had a great time with great service and attention to detail . The food was delicious, the only stairs were amazing as well . Our server Chad went above and beyond with service. Could not get a 6:30 on Saturday over the phone but was able to get that time on Open table????? Consistently good meals. Quality of food, and cuisine is very good. One of our favourite restaurants. Got our favourite table and waiter , Marco who is always attentive yet personable. Excellent, discreet service and delicious food as always! Thank you. Forgot to put in our side dishes so our steak came 15 minutes before the sides. Disappointing for a $200 meal. 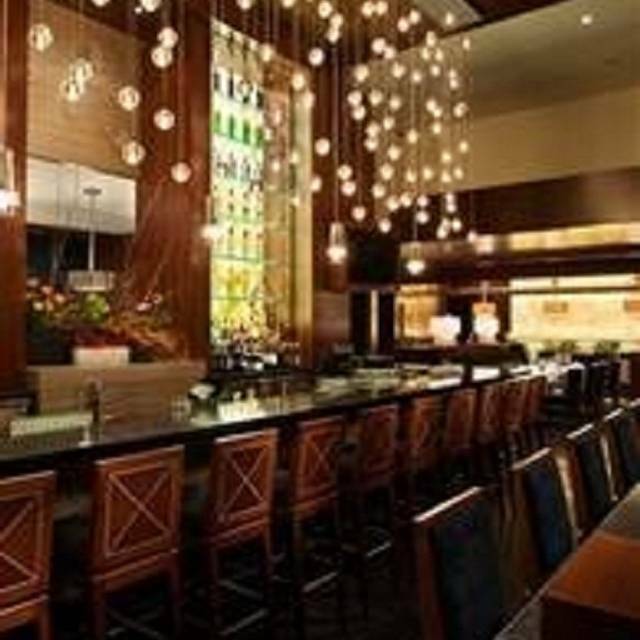 The food was delicious, the staff were wonderful and the ambience was perfect. Poor tableside service from our waiter, very unprofessional for the image the shore club has. Other than that delicious but very overpriced food. Ate the black cod and king crab, very tender. $40+ for the fish and the side of fries was still $10...not great value. Hostesses very professional and friendly. 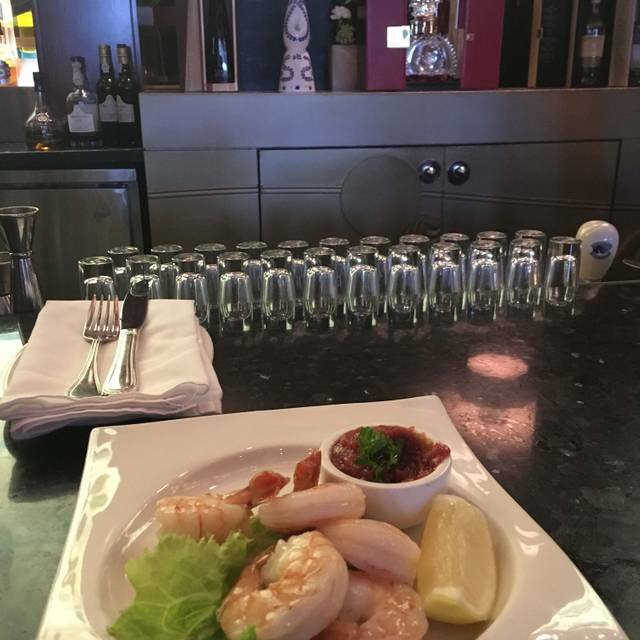 We are regulars at the Shore Club and often write reviews post OpenTable Dining: This one of the more reliable restaurants in the Ottawa area; food is good; servers attentive; and overall dining experience positive. 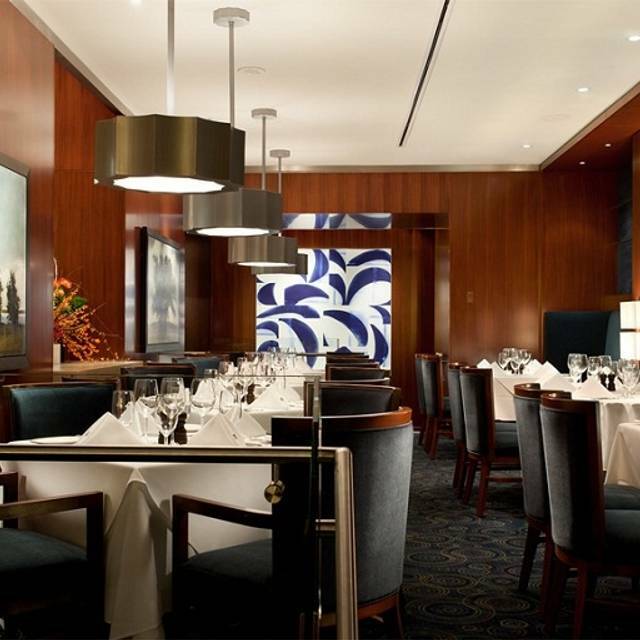 The Shore Club tends to be consistent and busy; something foodies often look for when return dining. I would recommend. Pros : The layout of the restaurant is great It is one rare restaurant that there are no bad tables! For me it is a sign of truly taking seriously the patrons enjoyment. So far so good - Great service and food. Professionals all the way! Cons: two minor issues that are easily fixable; a inventive vegan dish would be great because vegans are not necessarily going out with vegans only. And, Although I think to avoid wastefulness bread should be at the patrons request only but to charge for it is a bit a misstep in a high end restaurant. Great deal on the feature menu on weekdays between 4-6pm. The waitress is attentive, kind and professional. Would definitely recommend! As usual, a great experience! Thank you. Week-end à Ottawa pour patiner sur Canal Rideau. Resto et bar typique d'hôtel: atmosphère feutré et nourriture agréable mais service lent et inégal. Deux visites pendant le week-end et à chaque fois on nous a crédité quelque chose en raison de la lenteur du service. Attention appréciée mais service à améliorer. Service a bit slow.Time from order to food arrival approx,1 hr. "Sides" too lge. for 1 person so a lot of waste.Food excellent but not sure it justifys the price. Thanks to our server, Zlatan for such an enjoyable evening! Lovely ambiance with great food and amazing service. The carpaccio is absolutely amazing! We also enjoyed the arctic char and the Black Cod. Both spectacular! Great overall experience. Happy hour is highly recommended. I love the atmosphere and the gorgeous bar here. The food is good although somewhat pricey. But I still love the place ! The service is always excellent. Our server was Challian, and he was an awesome server! Super energetic, caring for our needs, and explained/described everything perfectly! 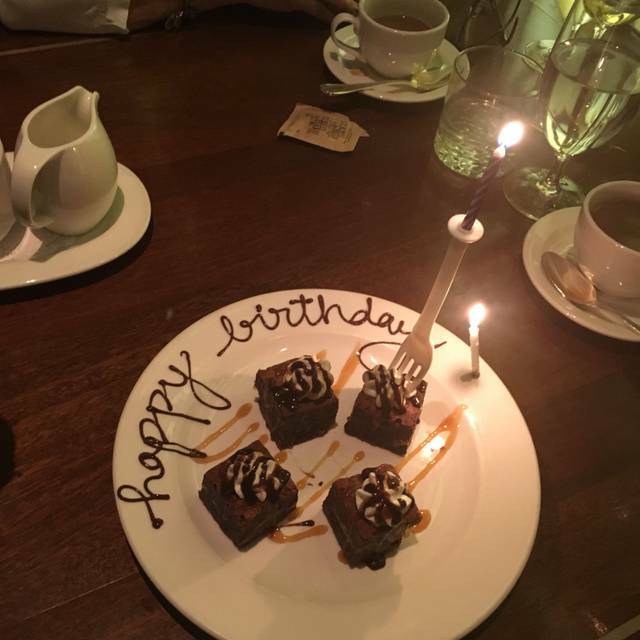 To be honest, I was a little disappointed that the restaurant didn't do anything for my moms birthday after telling people it was her birthday. Overall, great experience, and would definitely recommend (and have) to friends! Once again, Shore Club did not fail to disappoint. I hosted a business dinner and everything was perfect. Food was delicious as always and the service was impeccable. This is one of Ottawa's premier business dinner establishments. The restaurant is lovely, however, has a very busy bar. If you don't mind loud happy hours, this place will work for you. I asked for a table for two and was put in a very small booth, on the bar side, across from a large table of perhaps 10 people. Why would I want to sit at that table? I asked for a different one and was given a much nicer, larger table, on the other quieter side of the wall separating the bar from the restaurant. Generally speaking, I find that restaurants give women the worse seats in the house and save the best locations for men. The waiter was, as my male companion pointed out, rather casual for a high end beef restaurant. The service was well paced overall. 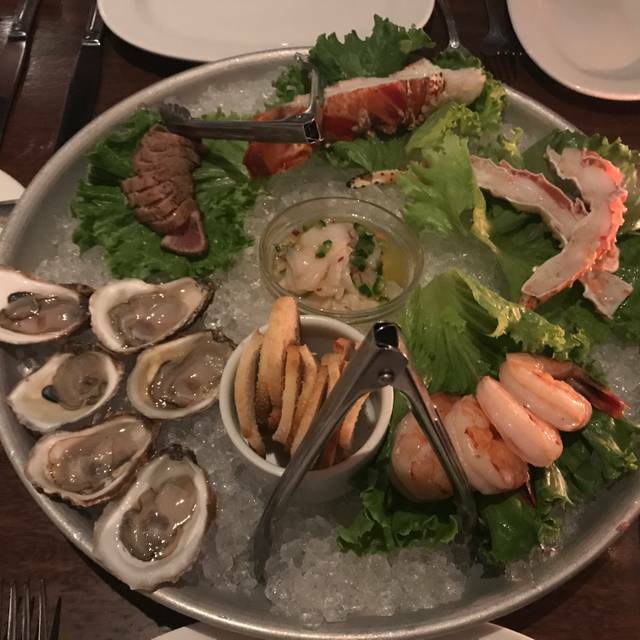 The shrimp cocktail were substantial and delicious. My companion's beer ended up having an insect of some kind floating in it... The beer was sent back. My filet, scalloped potatoes and mushrooms were all delicious, the steak a bit more rare than medium rare. My companion did not care for the peppercorn sauce and muttered..tastes like a bad peppercorn. I ordered coffee, which came with a spill on the saucer and was tasting old and stale. I sent it back and was brought a new cup of fresh coffee. For the price of the meal, I would expect a higher quality level of service and attention to the small things. Would I go back? No, I wouldn't. But you try it for yourself and decide. Took my wife there for her birthday. Our steaks were cooked and seasoned perfectly plus our sides (garlic mushrooms and mashed potatoes) were delicious. Our server was outstanding, very friendly, knowledgeable and not intrusive...he had impeccable timing. It was the best meal and service I have had in a very long time. 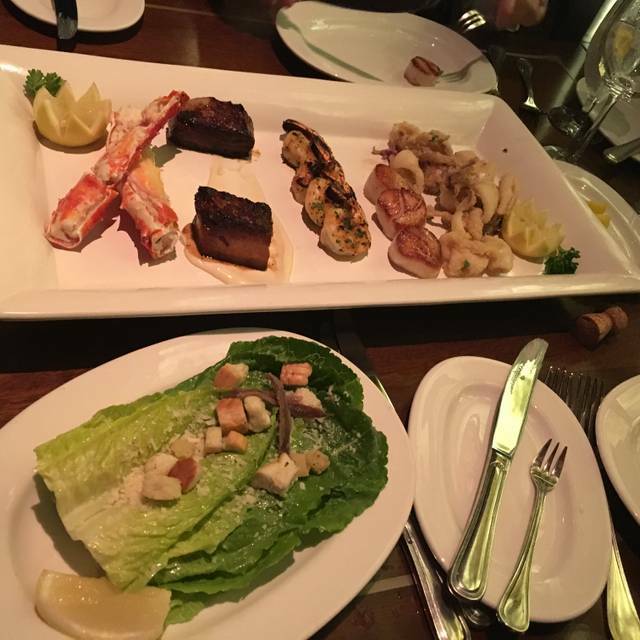 Best steak and seafood. Creative appetizers, great drinks. Love the lounge, and dining room Has a great vibe. First of all, I would like to commend the high level of professionalism and work etiquette displayed by the server assigned to us that night. His conduct and savoir-faire were beyond reproach. I should also like to appreciate the arrangement for a quieter table that was made for me as a Disabled person. At the same time, I must profess my profound disappointment with the overall food quality served to us last night. The high expectations that I had based on previously-read reviews were marred by the minuscule portion of the dish (exorbitant price for 3 medium shrimps and 3 scallops), poor - absent, rather - plate decoration, and undercooked baked potatoes, which we ordered as a side dish. As a customer, I experienced nothing but frustration and discontent over my meal quality. I was left unsatisfied and hungry, and I expected far greater things for the prices your restaurant was charging. Once again, I am displeased with my experience and I will not be visiting this restaurant again. My wife and I were seated promptly on arrival. We were the first in the restaurant. However the bar was humming with its happy hour offerings. It was unusual sitting in an empty restaurant with noisy bar background noise. My appetizer was a spectacular Foie Gras which I had with a Sauterne. Yum yum. My second course was the surf and turf special. Sadly the lobster while cooked sur vide arrived on my plate dry. It was disappointing. My wife started with an excellent salmon tartare but she was disappointed too with her Tuna main. The waiter had no knowledge of the wines on the list other than whether the wine was popular or not. Overall our experience fell short of expectations for a high end restaurant. We would consider going back, but only for the happy hour. Everything really went well expect I have found that when I ask for the Coffee and the bill we get ignored for refills of coffee. Otherwise terrific and I will return. Overalls the experience was nice, but it seemed we were not as important as other tables which came into the restaurant that night. Although we always try to have a relaxed and longer dinner it seemed a bit rushed. The manager (or what we thought was the manager) came by twice to see if everything was okay. That was very kind. Anniversary dinner... 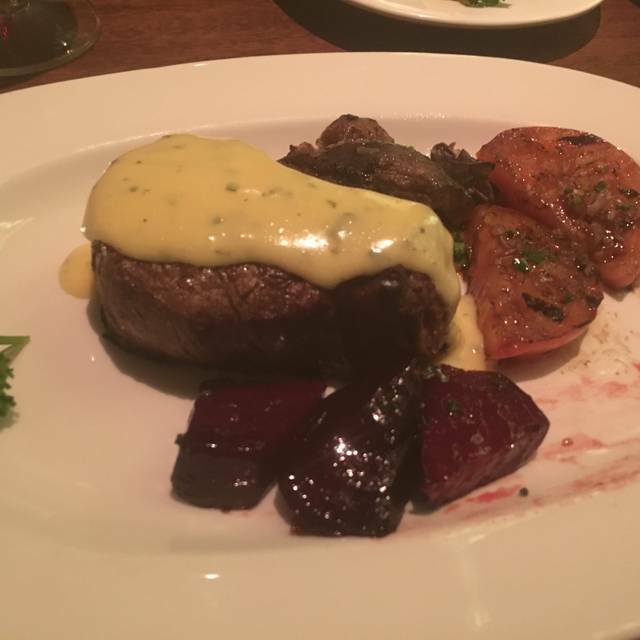 Previous dinners, a great night out, service & food, and why we were back. This time around, food was good, service was not. Placed at the back beside a coat rack, hot & stuffy, no view. 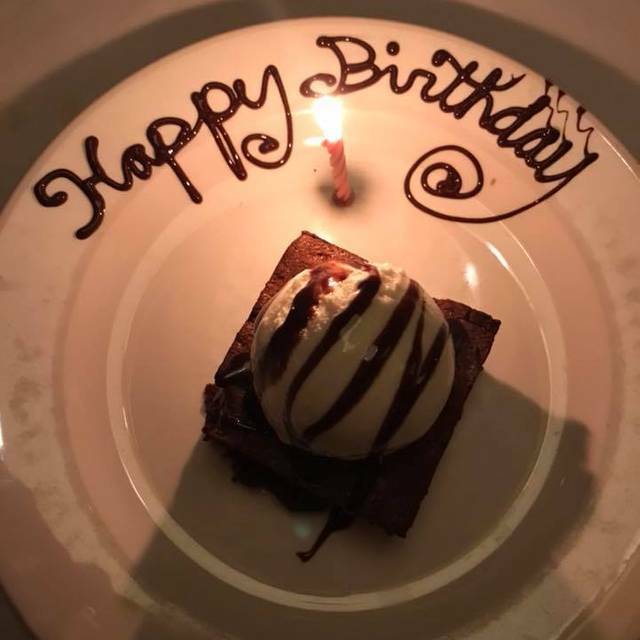 Service was disjointed, multiple servers, missing items at dinner, and we ended up eating separately by the time they arrived...not exactly the point of an anniversary dinner. Coffee & tea later no different. Coffee & tea were quick, then a 20 minute wait for the desert, by which time the coffee & tea were ice cold. No offer to refresh or replace. Will try again next time out, based on previous dinners where we very much enjoyed the evening, but not a good experience this time.